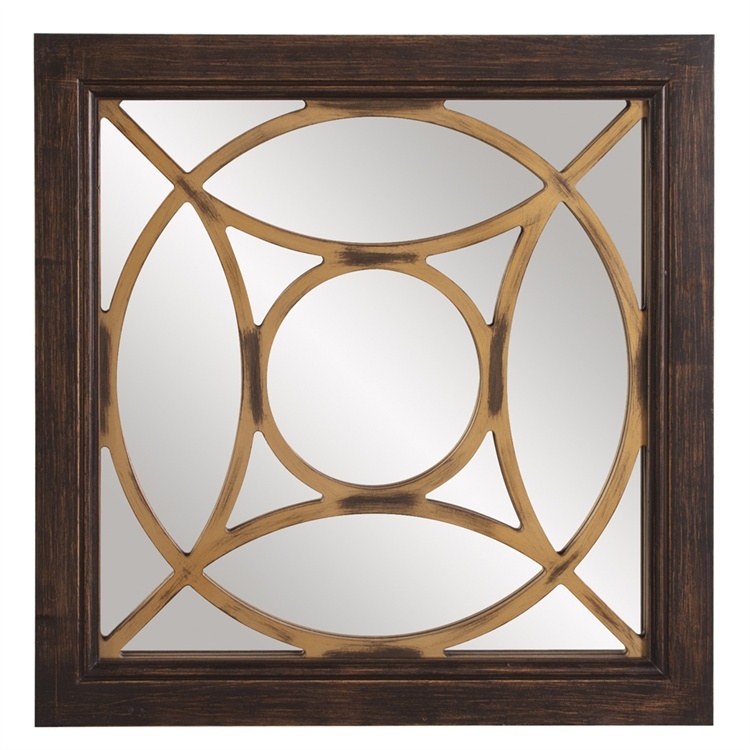 The Houston Mirror features a square wood frame in a rich java brown finish. What makes this piece unique is the metal geometric overlay finished in gold. It is a perfect focal point for any design. The Houston Mirror can be hung as a square or diamond. Customizable for larger orders.